5つ星のうち5.0The "softer" sound of Sendai--GREAT J POP. Beware! Listening to this CD may make you want to go to Japan! many of the songs are very catchy and really stick with you. 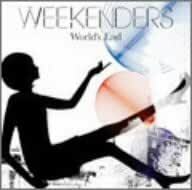 With the Weekenders, melody, and atmosphere, rule. "Sombrero", "Plastic Boy", "We Can't Forget The Reason", "Bergen" and "Candy" are the standouts, IMO. call out to the listener. Your journey to Japan just might start with this CD.